Wed. #1 is HERE. To help the website out please subscribe to Mistah MegaManFan so we can reach 1,000 (current count: 849). If you're a gamer you'll enjoy the content! Don't miss The Wrestling Nerdcast, Ian's SD Live Recap and Glove Up or Shut Up at 8 PM ET! With the cheap plugs out of the way here's Wednesday's latest wrestling news. After SmackDown Live was over Kevin Owens and Sami Zayn had a quick match. 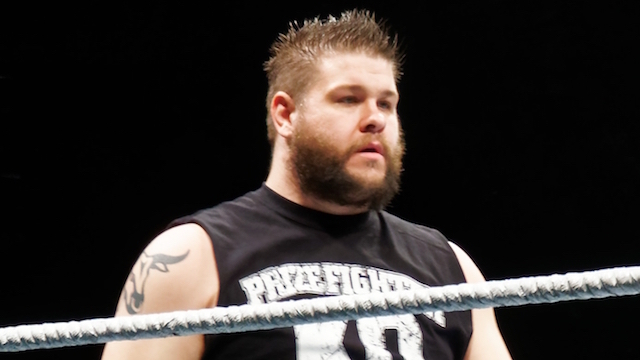 Owens hit Zayn with a stunner and pinned him. Kelly Kelly (Barbie Blank) is dating Cole Swindell. He's a singer. Here's a video of Enzo & Cass' "run-in" at ROH/NJPW's G1 Supercard. In addition MLW's Battle Riot II is now online. 3:00 PM ET. In an interview with Busted Open Radio about his pro wrestling career, Rey Mysterio said "I don't see myself doing this much longer." In this interview Chris Jericho talks about nearly getting in a fight with Brock Lesnar: "Yeah he did some stuff that I felt he shouldn't have done and no one would tell me if it was supposed to happen or not and then he started yelling at me - I was like, 'F--k this guy'. I started yelling back. I remember I was face-to-face with him and I just remember looking at him (like), 'He's got the biggest, ugliest nose'. Like this f--king giant nose, and I'm like, if he does anything, I'm just gonna bite his nose off. He's gonna kill me either way, so he's gonna kill me with no nose. I don't care."